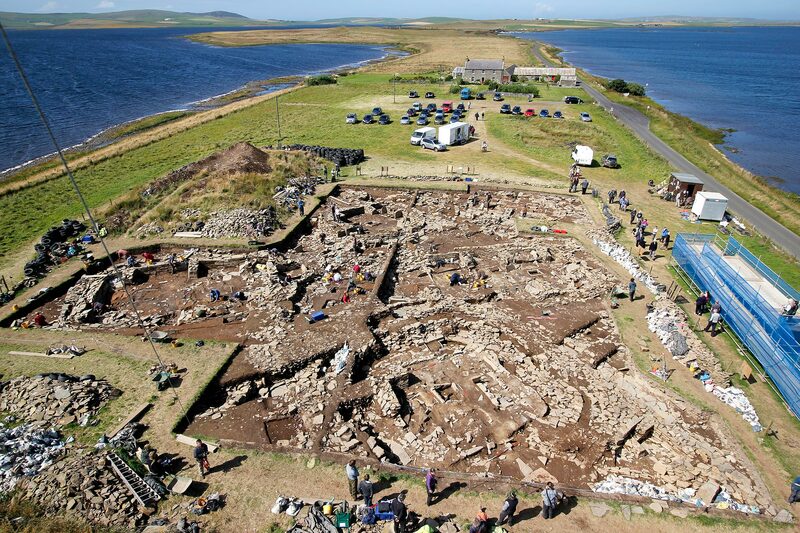 View basket “The Ness of Brodgar: Digging Deeper” has been added to your basket. Ness of Brodgar: Open to the Public, by Woody Musgrove, is a photographic record of the excavators and moments behind the scenes at the ongoing excavation of the Neolithic complex. The book documents the life of an excavation through the people working there. From uncovering the site for the new season, through the weeks of digging and recording and thinking and talking and finally wrapping the site with tarpaulins and tyres against the winter storms, we see how an archaeological site is as much about the diggers as it is the untangling of a thousand years of prehistory. Fifty per cent of the profits from the sale of the book will go directly to fund the excavation. Woody studied professional photography at Stevenson College, Edinburgh, before moving to Orkney to take the BA in Archaeology at University of the Highlands and Islands. He dug at the Ness of Brodgar for five seasons and in 2017 offered to document the life of the excavation with his camera for the Ness of Brodgar Trust.